Jack Crook, @jackcr, talking about his work in IR, how he got started, his forensic challenges and his work in building local DFIR community. You can read his blog here, http://blog.handlerdiaries.com/, and learn more about his community efforts in Virginia. 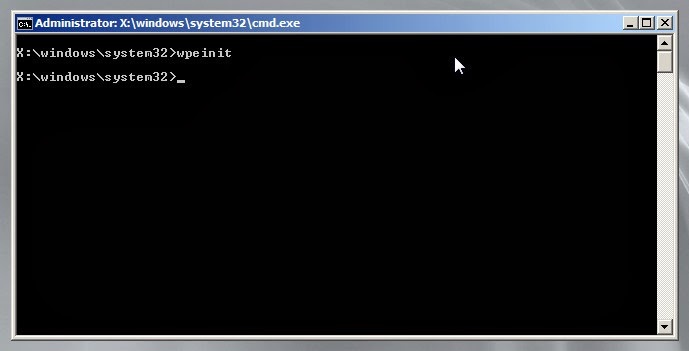 I thought it would be a good idea to post up the video that I asked Kevin Stokes in our lab to make showing how to actually write the Multiboot Image to a thumbdrive. While you could just use a variety of methods, we've found ImageUSB from PassMark to be a reliable tool for it. I'm planning on having more videos made to be uploaded to the Youtube channel to help understand and explain some of the more difficult topics we go over. 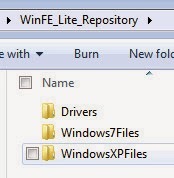 We've gone through now how to build the WinFE and WinFE Lite images for use in the Multiboot Thumbdrive. What we haven't covered is how to then add that image (or any other bootable image) to our multiboot thumbdrive. So I asked Kevin Stokes in our lab to make a video walking you through this. Last week we talked about how to build WinFE to put on our Multiboot Thumbdrive. Now let's show a step by step guide to building WinFE light in case you are tight on space or on a system with very little resources. This is a visual guide to compliment Colin Ramsden’s guidance on building Windows FE Lite. This is another great, light-weight tool to have around, especially if you’re not comfortable with the Linux environment when booting a device for imaging. 11. Windows 7 computer with 20 GB or more free space. b. 32-bit is recommended for supporting older architecture. 64-bit can be used, just be consistent during the build. These instructions and links will be for 32-bit. c. I installed a fresh, new copy of Windows 7 Ultimate SP 1 for this demonstration. a. Optional, though as Colin notes, you can edit the build to suit your needs. a. Optional. However this is can add support for HFS+ volumes. b. Might as well include them. Leaving them out requires editing the batch file. Aside from not having HFS+ support. This is the KB3AIK_EN (WAIK install file) mounted via Virtual CloneDrive. 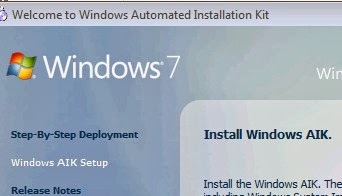 Simply select Windows AIK Setup to begin installation. 22. Install Explorer++ and 7-Zip. b. 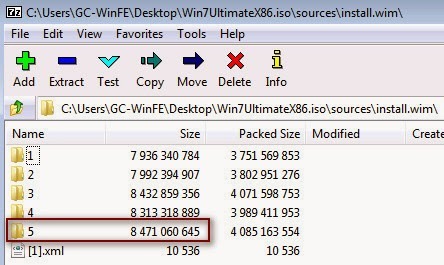 Use 7-zip to access the Windows 7 Installation ISO or to access the Disc for Windows 7.
d. Then find “install.wim” within the directory. 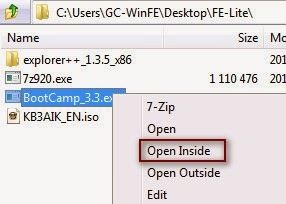 e. Double clicking “install.wim” inside 7-Zip will open the file to reveal its contents. f. Export out the largest folder that appears, to the Window7Files folder created in step 3a. 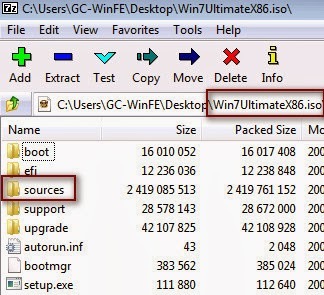 In this case, folder 5.
g. Optional – Use 7-Zip to access the Windows XP installation ISO or Disc. Go into the I386 folder and export files, to the WindowsXPFiles folder, that can add some extra features. 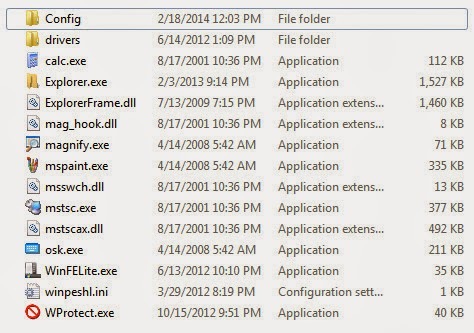 Colin suggests the following list, just double click to find the executable. There are two files here to extract. “AppleHFS.sys” and “AppleMNT.sys” Place these in the “Drivers” created in Step 3a. 44. Extract the WinFE full package from step 10 in the prerequisites to the location of your choice. I choose simply under the C: drive. Do not alter the names of the files and directories extracted from the package, as they are needed for the batch script we will be using. Here is a little information about the folders from the extracted FE_Lite directory. ISO – This is where our built ISO will be output. Open a command prompt and run the MakeFELite.bat file. There will be a lot of information scrolling on the screen as it goes through the batch file. Then it will be done. You can copy the resulting image to a CD or thumbdrive, or just load it into a VM to check it out. But this will give you a command prompt to play around in. Add other tools and rebuild to you hearts desire. It appears by what I received that there is a need for further explanation of how Indexers deal with unallocated space. I've posted the winning answer from Darren Windham but I'm also going to reach out to Jon Stewart to see if he'd be willing to write up his answer. Things are not as simple as they are presented to you once you begin your searching! That said, here is this weeks winning answer. You have a 10gbs of unallocated space from a drive that you need to index and search. Explain how an indexing program handles unstructured data for tokenizing and what other technologies must be used to handle encoded data. When parsing an unstructured set of data you must first locate tokens or some indicators that an artifact of interest may be present. In a forensic examination this could be a keyword expression, a url, an email address, a header for a file to recover, or other encoded data. Once these tokens have been located they can be indexed and examined in further detail to determine if they are in fact relevant to your investigation. One tool to automate some of this is bulk_extractor by Simson Garfinkel. Since it does not parse the file system it can parse multiple parts of the disk in parallel depending on the number of processor cores available and it also detects compressed/encoded data and searches it recursively. No matter the tool or the search engine used to parse the unstructured data you still have to have some idea on what you are looking for and the best methods to find the kind and type of artifacts you are looking for or expect to find. In those cases you don't get the expected results a different tool or search pattern may be needed to put some order to the data. If you watched the forensic lunch this week you heard Jon Stewart talk about Lightgrep. Indexing and searching can be a vital piece in our investigations and understanding how that technology works is important. In that regard let's see how you fare with this weeks challenge!